Today’s televisions are marvels of video technology. But the sound they produce almost always leaves a lot to be desired. Of course, you could assemble a system with multiple speakers and an AV receiver, but that simply isn’t practical in some situations. In such cases, a soundbar can be an excellent alternative, substantially improving the sound of a TV without the hassle of setting up all those speakers. If that seems appealing to you, be sure to check out the best soundbars we’ve reviewed. The list below includes the best soundbars we’ve found so far, ordered from least to most expensive. The Samsung HW-MS750 was paired with the company’s SWA-W700 wireless subwoofer, and the system price reflects that addition. Of course, you could omit the sub to save some money, but the sound won’t dig quite as deep. We have a couple more models scheduled to be reviewed before the end of the year, and we’ll add any that make the grade. So be sure to watch this article for updates. 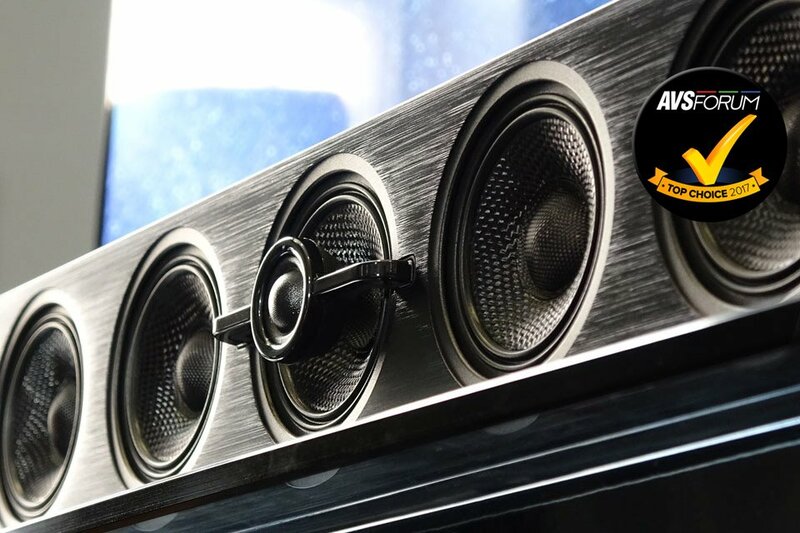 So, without further ado, here are the best soundbars we’ve reviewed. The Polk MagniFi Mini is one of the most versatile, budget-friendly soundbars you can buy. Thanks to its small size, it fits almost anywhere. 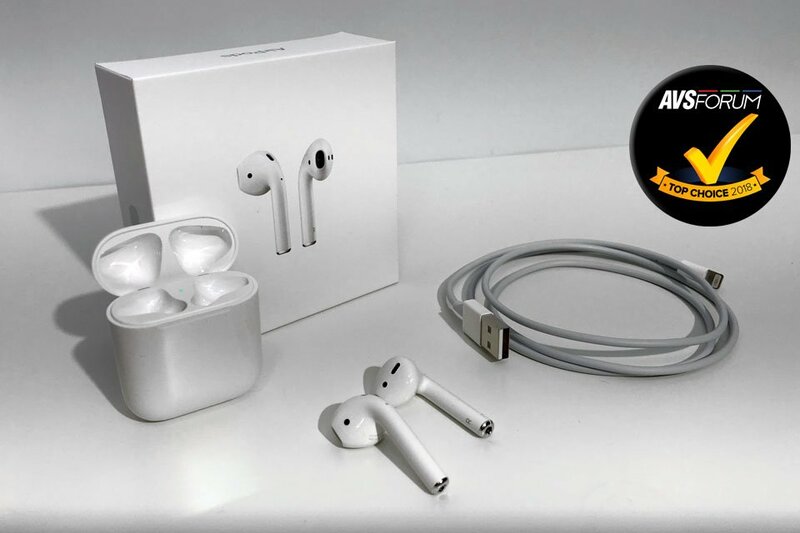 Even more importantly, the sound quality is extremely good considering the price; in fact, it can serve as an entry-level hi-fi stereo system. 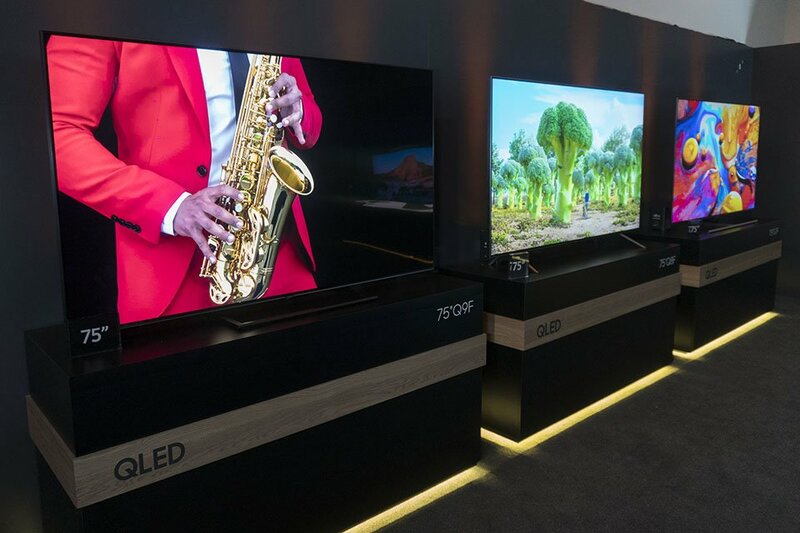 After all, who said a soundbar must always be paired with a TV? With Chromecast, a few MagniFi Minis are all you need to assemble a great multi-room audio system. Of course, the main purpose of the MagniFi Mini is to complement a TV. It takes this task seriously, providing crisp, clear dialog and a surprisingly wide soundstage. Amazingly, the virtual 5.1 surround effect is legit, putting you in the middle of the action. I found the MagniFi Mini to be engaging, even fun to listen to. I’d certainly recommend it to friends, family, and just about anyone looking for an economical way to get great sound in their lives. 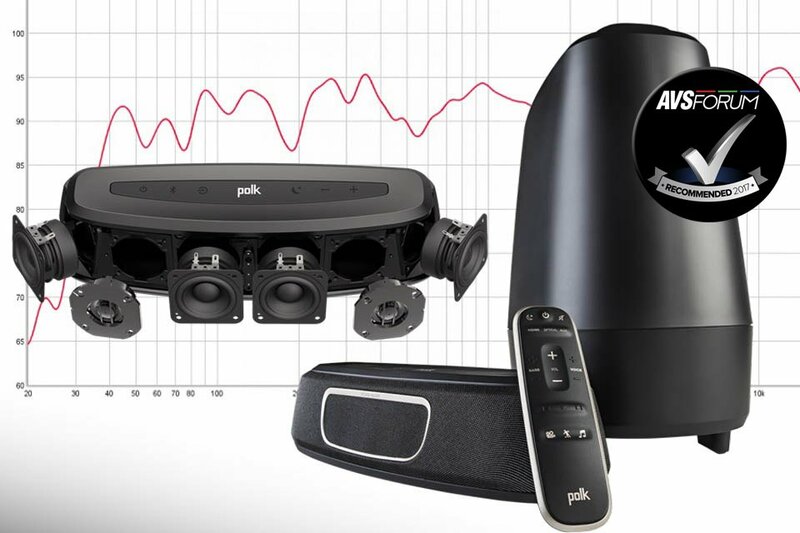 When it comes to delivering an affordable, compact, and connected all-in-one AV sound system, Polk hit a home run with the MagniFi Mini. When it comes to judging the YAS-207’s performance, the phrase “everything is relative” comes to mind. It’s fair to say that a 2.1.2 AVR-based system is superior. But in terms of immersiveness, the YAS-207 is surprisingly engaging. 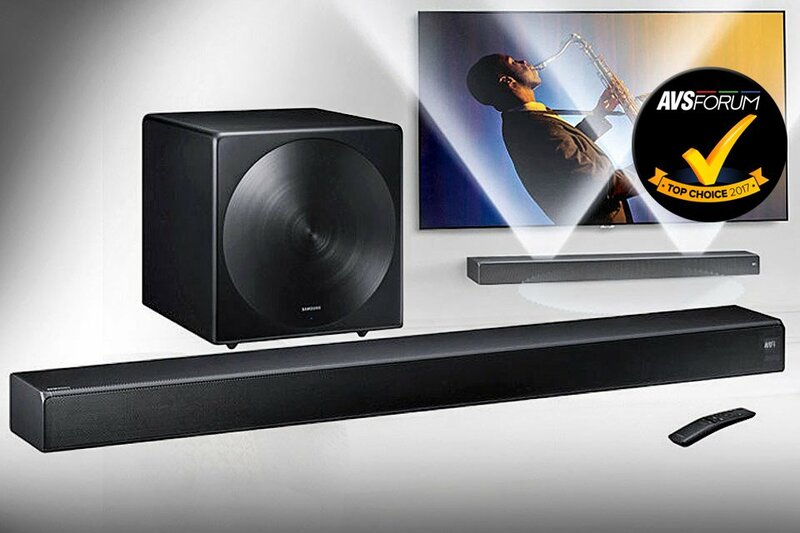 This is a good, fun soundbar that is pleasant yet accurate using its surround or stereo modes. Or, it can use DTS Virtual:X to create a pseudo-immersive effect that is interesting and even exciting, especially in a gaming context. The Yamaha YAS-207 has lots of features, and it sounds great considering its cost. With the Sound+ HW-MS650, Samsung has created perhaps the finest sub-$500 soundbar I’ve heard. It’s a great performer that looks good, is easy on the wallet, and connects to your other gear just about any way you want. If you want even more performance, the cost of optional wireless surrounds is quite reasonable. Plus, if you need more bass, you can add the SWA-W700 wireless subwoofer for $499. All in all, the Samsung HW-MS650 is a very well thought-out system that outperforms relative to its price point. How good is the HW-MS750/SWA-W700 combo? On several occasions, I was in my kitchen and forgot that the soundbar was creating the sound I heard. The bass, fidelity, and maximum volume level all surpass what I’m used to hearing from soundbars. 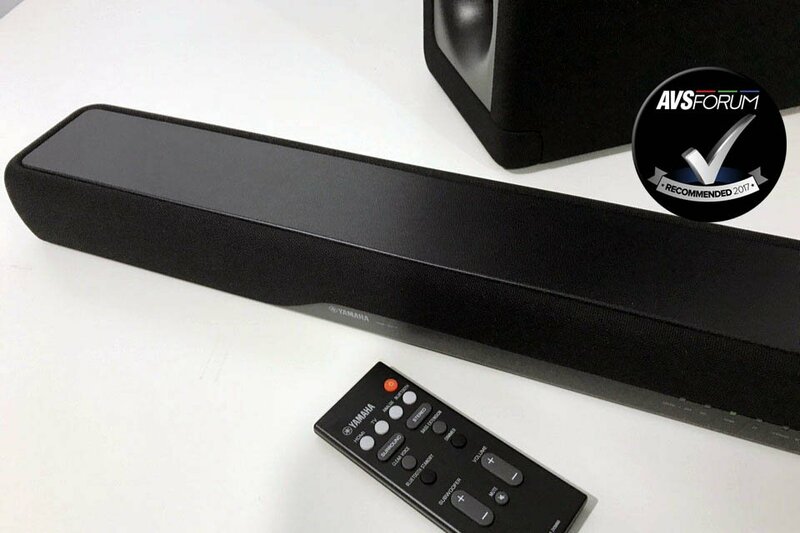 Samsung’s Sound+ HW-MS750 is undoubtedly one of the best soundbars you can buy today, and a bargain at $700. It plays deeper and cleaner than competing products at its price level. And when you add the excellent SWA-W700 subwoofer to the mix, magic happens. 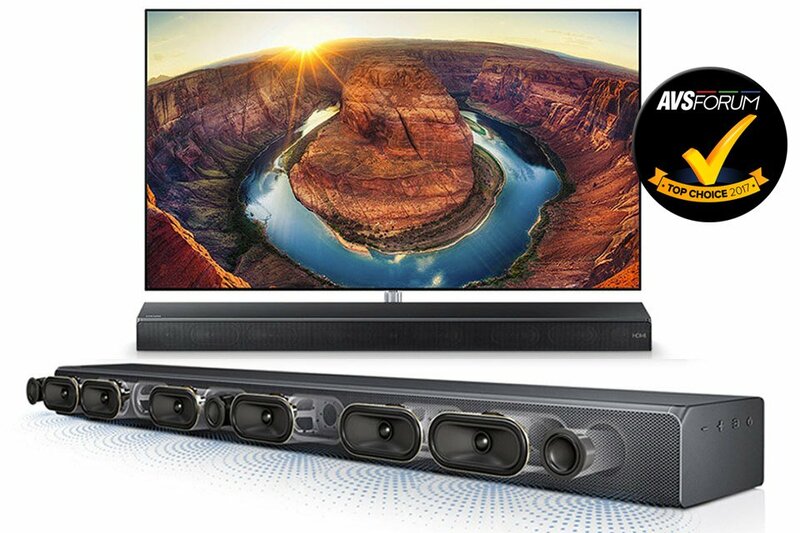 If you are shopping for a soundbar system that can truly compete with an AVR-based system in terms of bass, dynamics, and clarity, this combination should be at the top of your list. The Sony HT-ST5000 has an uncanny ability to deliver captivating immersive audio from a soundbar with a compact form factor. Thanks to the company’s decades of audio-engineering expertise, it’s an outstanding performer that surpasses many of its peers in terms of sheer fidelity. Of course, $1500 is not a trivial sum to spend on any sound system, especially a soundbar. But in this case, Sony has ensured that the investment will pay off. If your domestic situation demands a system that the whole family can live with while delivering the thrills and chills of a competent immersive-audio rig and serving as a hi-fi stereo system, the HT-ST5000 has your name written all over it.